Hi everyone! It’s Juliana here with you today to share a great way to treat your little soccer star using SRM Stickers Tubes. These fabulously fun tubes come in so many sizes. All you have to do is select the one that works for the treats you want to fill it with. I used the Original Tube which is 7 x 1 inches. 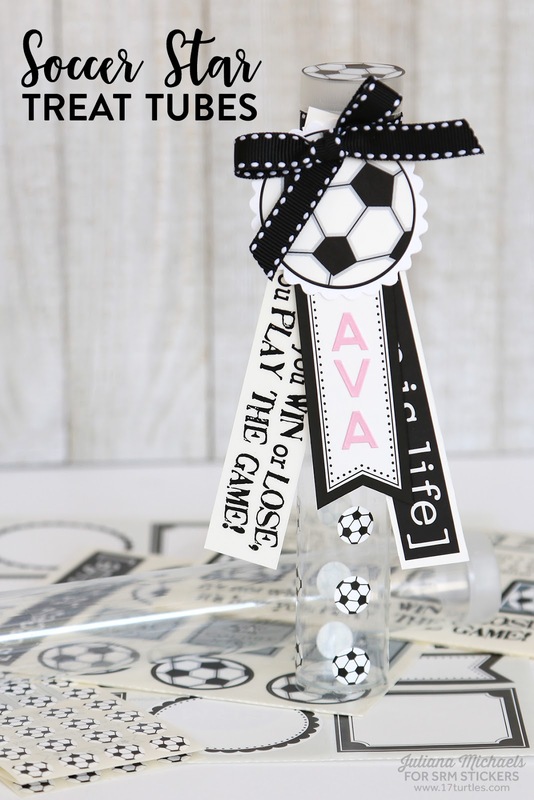 To decorate it, I grabbed a variety of SRM Stickers including the Say It With Stickers Mini Soccer, Tiny Stickers Soccer Balls, and Labels By The Dozen Black/White. 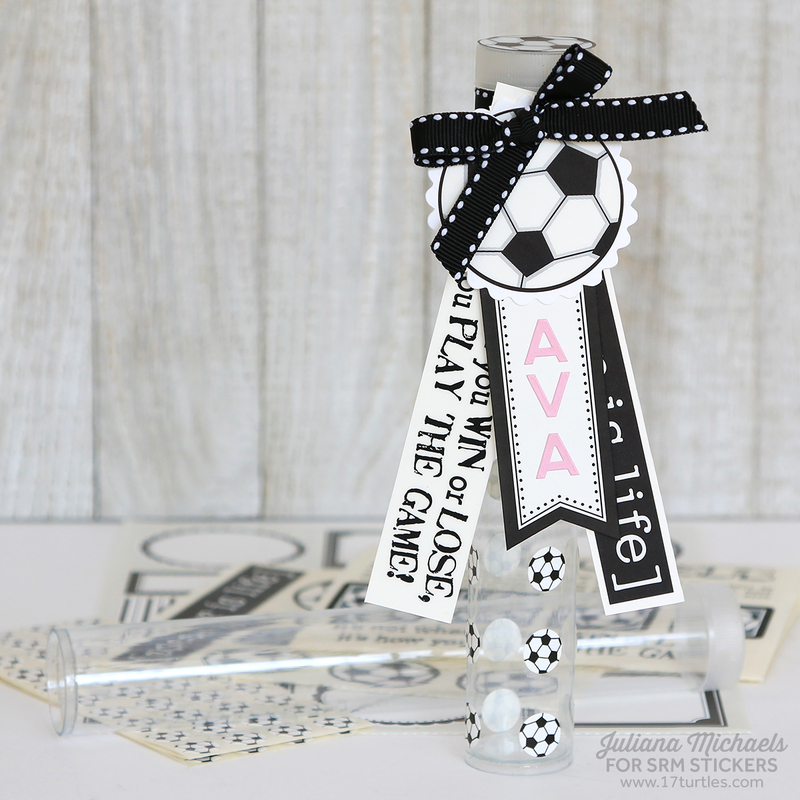 I adhered the Tiny Soccer Balls directly to the tube. Next, I selected several sayings and adhered them to white cardstock to create tags. I added a soccer ball to a Small Scallop Circle in White. I then punched holes in the top of each of these and tied them to the top of the tube using a piece of ribbon. 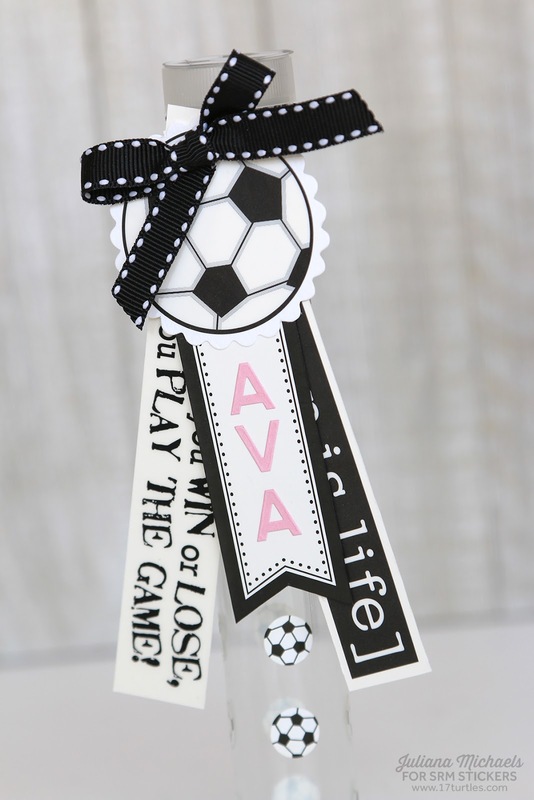 The banner shaped label was perfect for adding a name which I attached to the back side of the scallop circle. 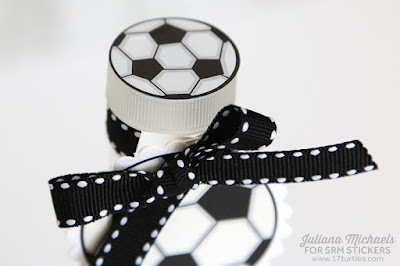 Now my treat holder is ready to be filled with my little soccer star’s favorite treats! How do you like to use SRM Stickers Tubes? Remember you can share them with us on our Facebook page, Flickr Group or tag us on social media with #srmstickers.